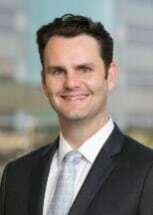 Mr. McMillan joined the firm in 2012. Mr. McMillan's practice areas include commercial, construction, real estate, consumer, environmental/toxic tort and probate litigation. Mr. McMillan was born and raised in Houston and currently resides in west Houston with his wife and daughter. Mr. McMillan enjoys mountain biking, music, travel, eating, and anything outdoors.